Born on the racetrack and raised on the street, the MY18 GSX-S1000Z is derived from the legendary, championship-winning GSX-R1000. The new GSX-S lineup carries the spirit of the Suzuki GSX-R to the street, with shared technology and performance packaged into a chassis designed specifically for street riding comfort. The Special Edition Z-model features bold Metallic Matte Black bodywork, blacked-out exhaust system, black anodized front fork stanchion tubes, unquie graphics and rim decals. The long-stroke engine that owned the racetrack is now tuned for the streets. Tuned for a fatter, meaner & meatier bottom to mid-range, while still producing a stonking top-end. 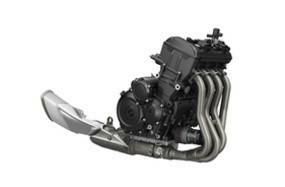 Updated for MY18, the 999cc In-line, 4-cylinder engine boasts 110kW (150hp) and 108Nm of torque. It is everything you are looking for on the road and then some. State-of-the-art technology provides ultimate efficiency, combined with it's addictive induction noise, makes every ride, a sheer exciting one. Suzuki's advanced traction control system lets the rider control the throttle with more confidence in diverse conditions, so it makes sport riding more enjoyable and less tiring. The system checks the front and rear wheel speeds, the throttle position sensor, the crank position sensor, and the gear position sensor 250 times a second. It quickly reduces engine output by effecting control over the ignition timing whenever it detects wheelspin. The system's control over engine output feels so smooth and natural, it does not detract from riding pleasure. The rider can set the system to any of three modes or turn it off. The modes differ in terms of sensitivity. Mode one is for sport riding with minimal intervention from the system. 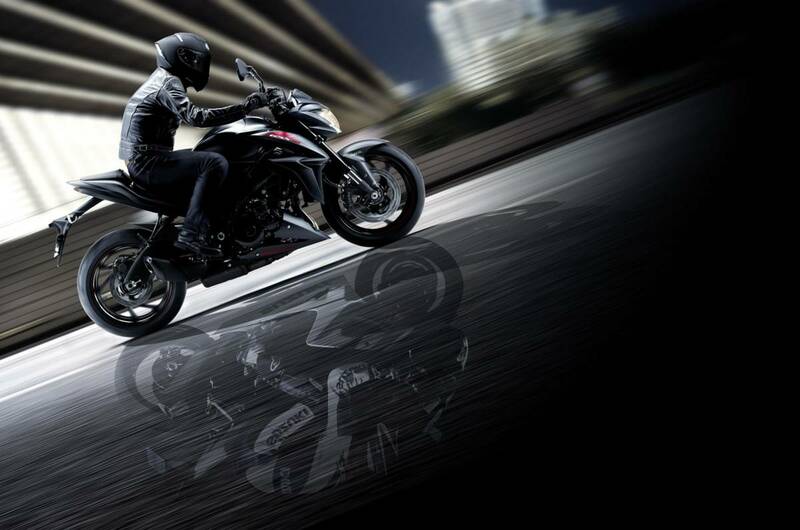 Mode three gives maximal traction control for riding in poor conditions. Mode two offers a balance that is ideal for typical road conditions. 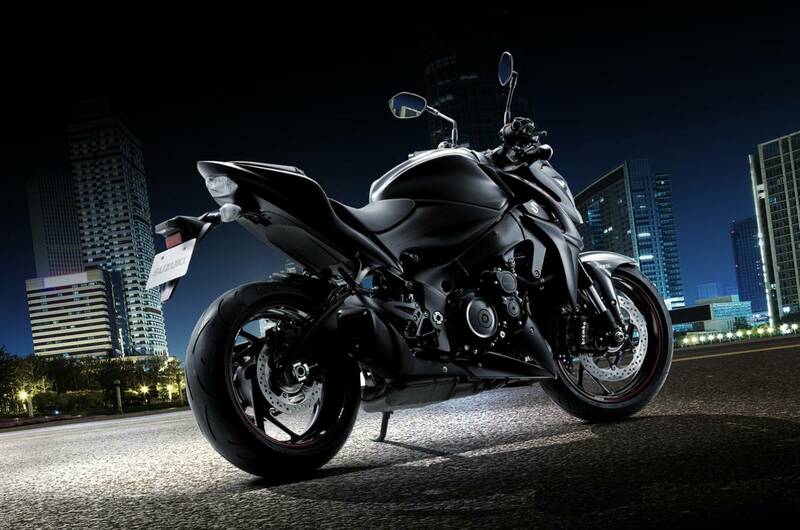 Suzuki designed a new chassis in a compact, lightweight package that makes the GSX-S1000/F agile and fun to ride. Every aspect of the chassis reflects a focus on great handling and control in real-world conditions from city streets to twisty mountain roads. The main frame helps to ensure nimble handling and great roadholding. The main tubes are straight from the steering head to the swingarm pivot. Their shape is ideal for achieving high rigidity and low weight. Suzuki used finite-element-analysis techniques to make the frame even lighter than that of the current GSX-R1000. The sturdy aluminium-alloy swingarm comes straight from the current GSX-R1000. It is ruggedly braced and helps to ensure great roadholding together with superbike looks. 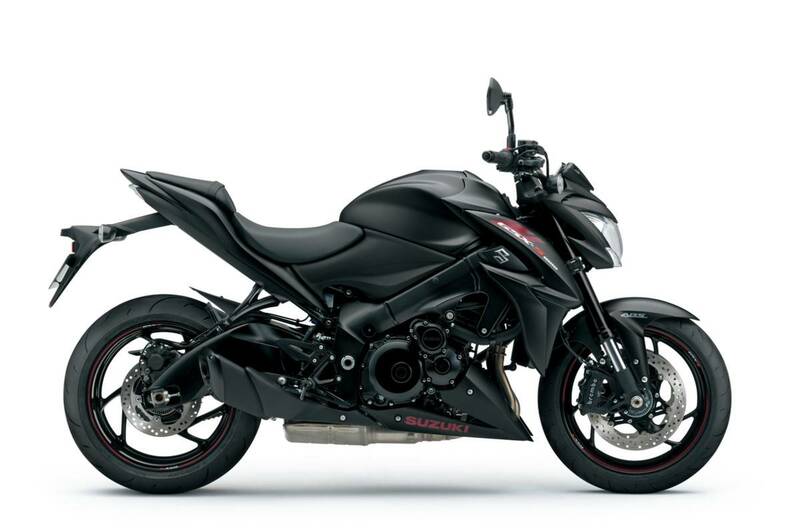 Suzuki designed a new chassis in a compact, lightweight package that makes the GSX-S1000/F agile and fun to ride. Every aspect of the chassis reflects a focus on great handling and control in real-world conditions from city streets to twisty high country roads. The main frame helps to ensure nimble handling and great roadholding. The main tubes are straight from the steering head to the swingarm pivot. Their shape is ideal for achieving high rigidity and low weight. Suzuki used finite-element-analysis techniques to make the frame even lighter than that of the L6 GSX-R1000. 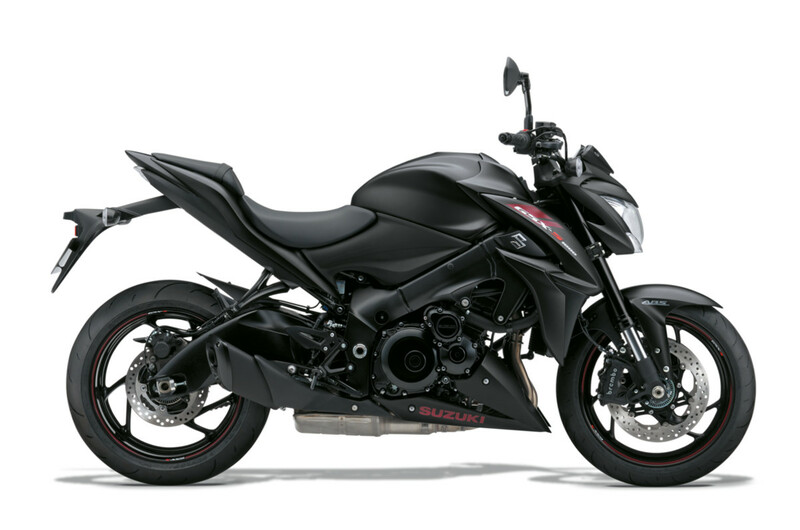 The sturdy aluminium-alloy swingarm comes straight from the same GSX-R1000. It is ruggedly braced and helps to ensure great roadholding together with superbike looks. 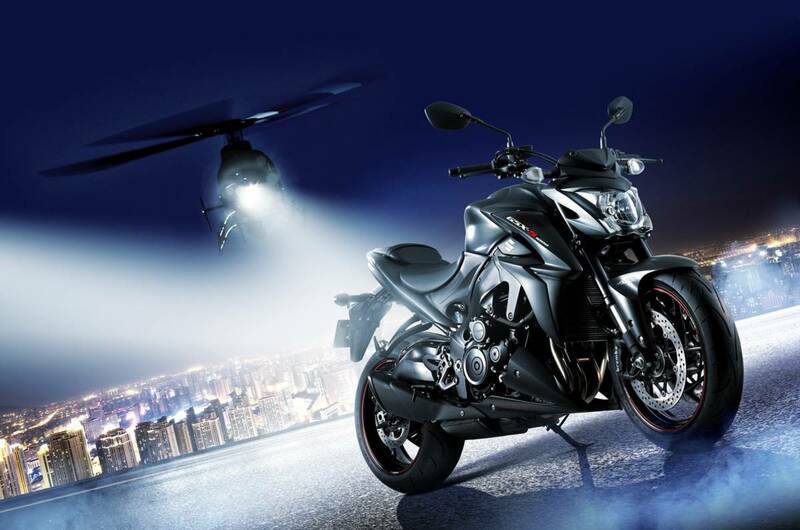 The GSX-S1000 is designed to look wild, rugged, and aggressive and to keep the rider comfortable at all times. The bikes overall shape evokes a crouching beast. LED position lights are shaped to represent its fangs. 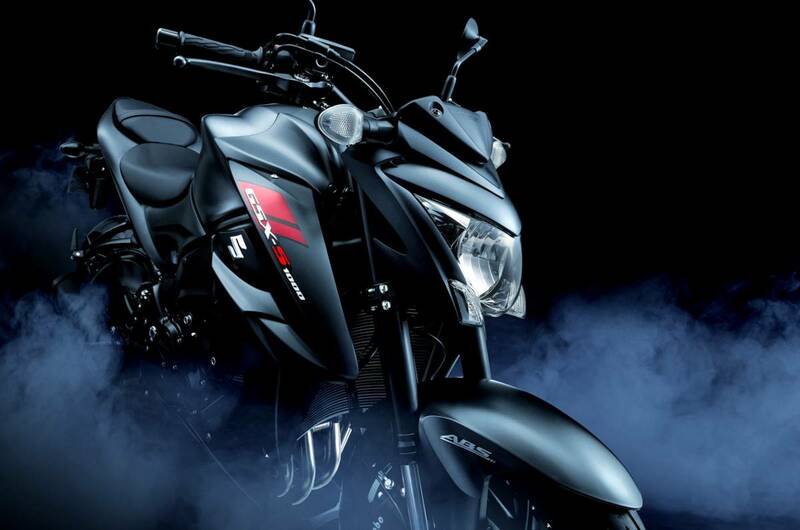 And a combination of black plastics and painted parts emphasizes the bikes assertive, sporty personality. The instrument cluster takes the form of a lightweight, brightness-adjustable LCD. Readouts include speedometer, tachometer, odometer, dual tripmeters, gear position, coolant and ambient temperatures, driving range, average fuel consumption, instantaneous fuel consumption, traction control, and a clock. A white backlight gives great nighttime visibility. The display is flanked by LED indicators for the turn signals, high beam, malfunction, ABS, traction control, coolant temperature, and oil pressure. Newly specified 43mm KYB inverted front forks give a ride that is sporty yet plush. They have fully adjustable damping, rebound, compression and spring preload. A single KYB rear shock features adjustable rebound damping and spring pre-load. New one-push, push-start system where the clutch does not need to be engaged when gear is in neutral. The cam profiles are designed to optimise the valve timing to tune the GSX-R1000 engine – which is designed keeping in mind racetrack use – to obtain the GSX-S1000 power character that’s more suited to the streets and winding roads. Radiator shrouds efficiently guide air to the newly designed and highly efficient round shaped radiator. Lightweight and compact liquid-cooled oil cooler. New pistons were engineered with use of FEM (Finite Element Method) analysis to achieve optimal rigidity and weight. The 4-2-1 exhaust system contributes to stronger low-to-mid range output with exciting exhaust notes and adrenaline-rushing performance. Fuel injectors are 10-hole, long-nosed injectors on each throttle body for better combustion and reducing fuel consumption. 73.4mm x 59.0mm long-stroke design makes it possible for a broad spread of power throughout the rev range. Lightweight and compact chassis engineered to be agile and fun-to-ride for a wide range of riders. Lightweight and rigid main frame and aluminum-alloy swingarm. The 6-spoke cast aluminium wheels, manufactured by TRP, are made light weight, provide nimble handling and sporty appearance. Dunlop radial tyres, D214F (front) and D214R (rear) provide great grip for sporty riding on public roads. Black aluminum Renthal Fatbar handlebar is standard equipment. Low seat height of 810mm with a sporty, yet upright riding position. *SPECIAL RIDE AWAY OFFER, WHILE STOCKS LAST.